While the Galaxy S10 trio represents Samsung’s mainstream flagships, the Galaxy S10 5G is its most advanced phone yet. Despite the name, it’s more than an S10 with 5G tacked on. For starters, this is by far the largest Samsung flagship, dwarfing even the Note9. 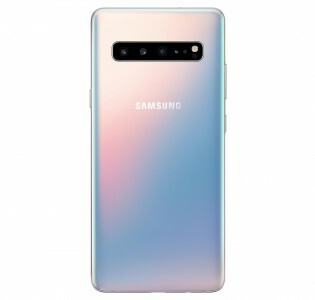 The Samsung Galaxy S10 5G packs a 6.7” curved Dynamic AMOLED display with 1440p+ resolution. It’s among the first mobile displays to support HDR10+ video (along with the other three S10 phones) and one of the first to feature an ultrasonic fingerprint reader. True to its name, this is Samsung’s first 5G phone with support for both mmWave and sub-6GHz networks. Wi-Fi 6 is also on board for symmetrical 1.2Gbps local connections. Interestingly, the phone will come with either a Snapdragon 855 or an Exynos 9820 chipset, depending on your region. The phone has 8GB of RAM and 256GB storage, but there there’s no microSD slot here. The camera department is an enhanced version of what the S10 has – both front and back assemblies gain a 3D Time of Flight module, which enables Video Live focus and capturing 3D images. This means the back has a quad camera with dual OIS. The main shooter is a 12MP sensor with Dual Pixel AF and dual aperture (f/1.5 and f/2.4). It’s joined by the 12MP 2x telephoto camera, these are the two with OIS. Then there’s the 16MP 123° ultra-wide camera. The back cameras can record 4K HDR10+ videos for you to enjoy on the expansive screen. The selfie camera has a 10MP sensor capable of 4K video capture (the pill-shaped hole is wider to accommodate for the 3D ToF sensor). The Galaxy S10 5G has a rather large 4,500mAh battery and is the first to support Super Fast Charging, which goes up to 25W (this is compatible with USB Power Delivery 3.0). There’s also Fast Wireless Charging 2.0 and Wireless PowerShare (which turns the phone into a wireless power bank to use with wearables and other phones). The 5G is IP68 rated, has Dolby Atmos-enabled stereo speakers, Samsung DeX support and the usual set of Samsung flagship features. If the S10 has it, the 5G model has it too – for more, check out our hands-on review. 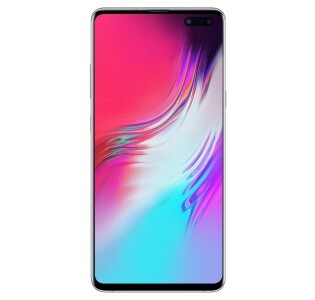 The Samsung Galaxy S10 5G will be released in the spring. Great Idea, Why not apply to be in Samsung's product naming department? What would FX Stand for?